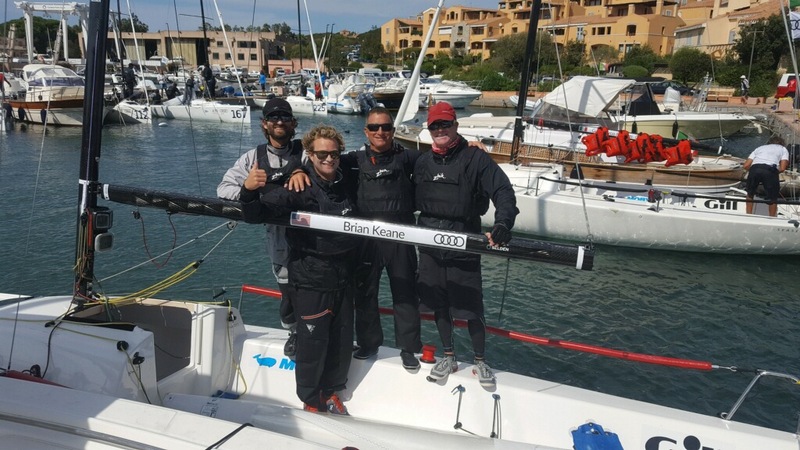 Brian, congratulations from all of us here at North Sails One Design on your second place finish at the just completed J/70 Worlds in Sardinia! You have been sailing the boat pretty much when it started. What is the appeal of the J/70 to you? Brian – Many thanks for the kind words. We worked hard for this event and we are pleased with our performance and result. Porto Cervo is a beautiful place to sail, and we enjoyed conditions ranging from raging mistral to relatively moderate breezes. As for the J/70, I have been in the class from the beginning. In fact, I have been a long-time J Boat owner having previously raced both a J/105 and a J/80. I love the J/70 and believe it may be the most exciting and competitive keelboat class anywhere in the world. Throughout the year, it is possible to attend numerous events with 30, 50 or even 70 boats competing. The biggest events, like the Worlds, can have more than 160 boats representing 24 countries. And the depth of the class is incredible, with dozens and dozens of boats having teams comprised of world champions, Olympians, and America’s Cup competitors. 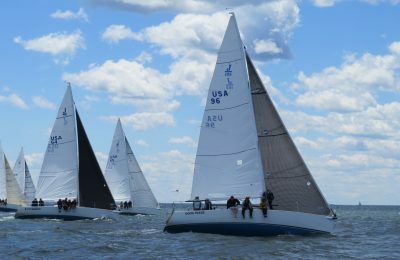 Second overall in a 160+ boat fleet, the biggest one design championship we have had in decades, maybe ever, is not small feat. Can you tell us what you did to prepare for this big event? As the year progressed, we knew that we were making advancements on multiple fronts. It sounds trite, but one of the most important things we did was make sure that we participate in enough events and had enough practice days as a team so we could build on our knowledge base week to week. Sailing with North Sails, can you tell us what models you used and give us some insights on how you set your boat up? Watching the regatta it appeared to be a pretty windy week. Brian – In terms of sails, we went with the latest and greatest from North. This includes the XCS-1 main, which we believe is very versatile across a variety of conditions. In the breezy conditions, we had the ability to make the main very flat, and when necessary in lighter conditions, we had the ability to add depth and power to adapt to the conditions. For the spinnaker, we used the same North AP-1 spinnaker design that we have loved for the past few years. Starting with that many top boats is a real challenge. Any pointers for the rest of us on how to get consistently good starts in such and large and competitive fleet. Brian – The race committee at the Worlds did a terrific job in some challenging conditions. Generally, the lines were square and the first windward leg was pretty long, generally 1.4 or 1.5 miles. The race committee also located the course far enough away from geographic factors so it wasn’t a race to the left side of the course. The combination of these factors, plus our confidence in our speed, meant that we didn’t need to win any start. Instead, our focus was to start in lower density areas and try to hold our lane for at least 3-4 minutes. If we could do that, we figured we would already be in the top 25 percent of the fleet. And racing near the top of the fleet is way easier than being buried. We also recognize that in big fleets random bad stuff can happen to anybody at the start. When this inevitably happens, it is important to be timely, yet smart about when to clear out so you can find a new lane. Hanging on too long will most certainly increase the difficulty and time required to find a lane. Bailing out too soon may result in excessive ducks and bad positioning. Can you tell us a little bit about your crew and what roles each one plays on the team? Brian – I am amazingly fortunate to have sailed with the core Savasana team for the past few years. Team consistency is currency for performance. Stu McNay, who is originally from my home club in Marion, Massachusetts, is our tactician. 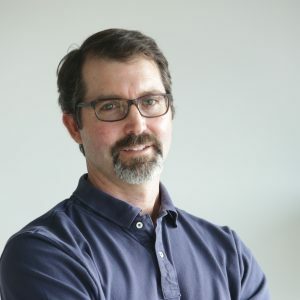 Stu is incredibly thoughtful and analytical and helps the program continue to move forward with continuous innovations and excellent use of data. Stu has also represented the United States for the last three Olympiads skippering a 470. Thomas Barrows is the trimmer on the team and he has such an amazing feel for the boat, which he translates into subtle tweaks in upwind sail trim. Downwind he is a natural talent and is magical in orchestrating sail and weight trim to take maximum advantage of the sea state. Thomas is also a valuable sounding board for Stu in discussing tactics. Thomas represented the United States in the Rio Games skippering the 49er. Ron Weed, from Annapolis, is our bow, but that doesn’t nearly capture what he really does for the team. He keeps us from getting into trouble. Sets, jibe, takedowns, and mark roundings are where most trouble happens in big fleets, especially in windy conditions. Ron is the guy who makes all of that a non-issue, even when we give him no notice. Ron is also “owner of the rig”, which means he knows where we are at any given time and he even knows how much the rig will stretch from day to day based on temperature. And finally, Ron is our conscience. He periodically throws out thoughts or observations about trim, backstay, traveler, or any other adjustment. These continuous contributions help our performance and help ensure that everyone’s head is fully into the game all the time. Thanks so much Brian and congrats again. What’s next for team Savasana? Brian – We will be participating in the North American Championships at American Yacht Club in a couple weeks. Unfortunately, we won’t hove our full core team, but we look forward to the event. Then we will head south for the winter circuit.